With June upon us, the cycling world now turns its attention towards France and the Critérium du Dauphiné, with the Tour de France on the horizon. 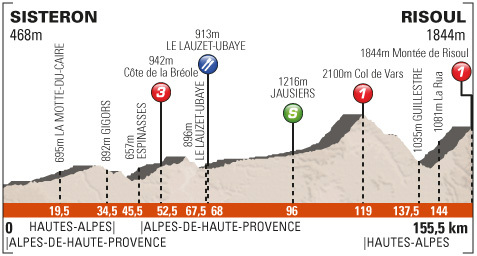 The Dauphiné is traditionally seen as the last major warm up before the Tour, a reliable indication as to the form of the favourites. Finishing just off the pace of the leader is generally considered the mark of perfect form, and this is generally where Lance Armstrong used to rank during his now-disgraced era as Tour champion, and during Albero Contador’s run of Tour success he finished between second and sixth. 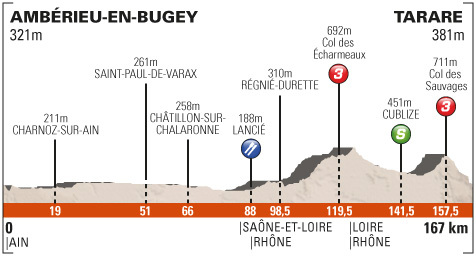 The theory is that the Dauphiné is too close to the Tour to build up enough form if you finish way down on the general classification, but victory would suggest a premature peak. But, while this seemed to be the case for the likes of Alejandro Valverde, Levi Leipheimer and Christophe Moreau in the recent editions won by them, Bradley Wiggins’ Tour and Dauphiné double last season bucked the trend. He became the first rider in nine years to win both races in the same season, and may set a benchmark for this year’s Dauphiné. The Tour favourites have been racing hard against each other as early as February this season in a trend that could be ascribed to Wiggins’s haul of stage race wins prior to winning the Tour last year. Where in the past riders feared showing their hand to early in races like the Dauphiné, this year could see them competing wholeheartedly for the win. Bradley Wiggins will not make it three consecutive victories at the Dauphiné as he continues to rest following the Giro d’Italia, however Sky will be led by Chris Froome. 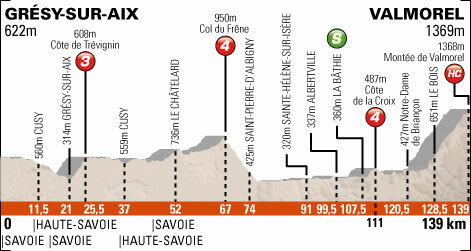 Froome will not have the usual prologue to stamp his authority in the race, as the organisers have opted for a hilly stage in Champéry to open the race this year. 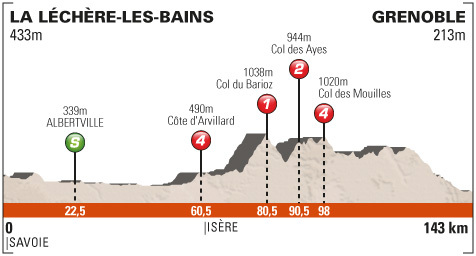 Monday and Tuesday’s stages are similarly undulating, and present opportunities for riders to breakaway while making it difficult for sprinters teams to control. 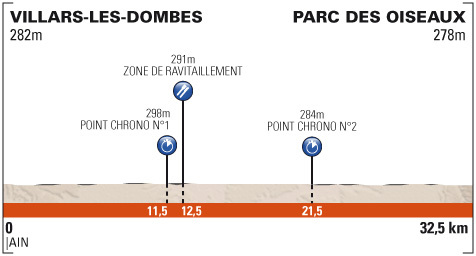 Stage four will likely be the first major shake up to the GC, with a 32.5 kilometre flat time-trial from Villars-les-Dombes to Parc des Oiseaux in what will be an important if not decisive stage. 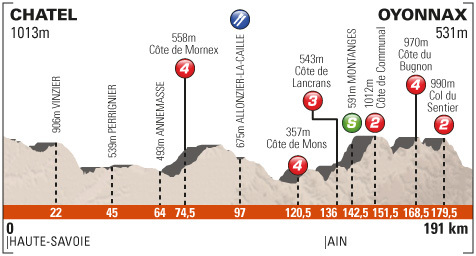 The peloton then heads east towards the Alps, where they will tackle the Hors category Valmorel in the race’s first mountain top finish, but the mountains in Friday’s stage to Grenoble occur to early on the route to affect the GC. The final weekend looks set to provide a thrilling finale. 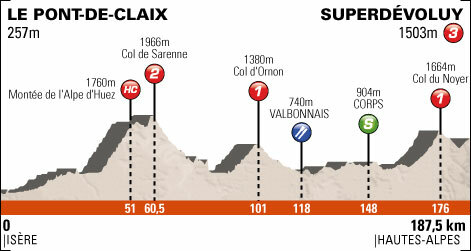 L’Alpe d’Huez will be climbed in stage seven on route to another uphill finish atop the intriguingly placed category three Superdévoluy, coming as it does immediately after the category one accent to and descent from Col du Noyer, while stage eight’s features two final category one climbs, with the Montée de Rinsoul finish to play host to the final showdown. 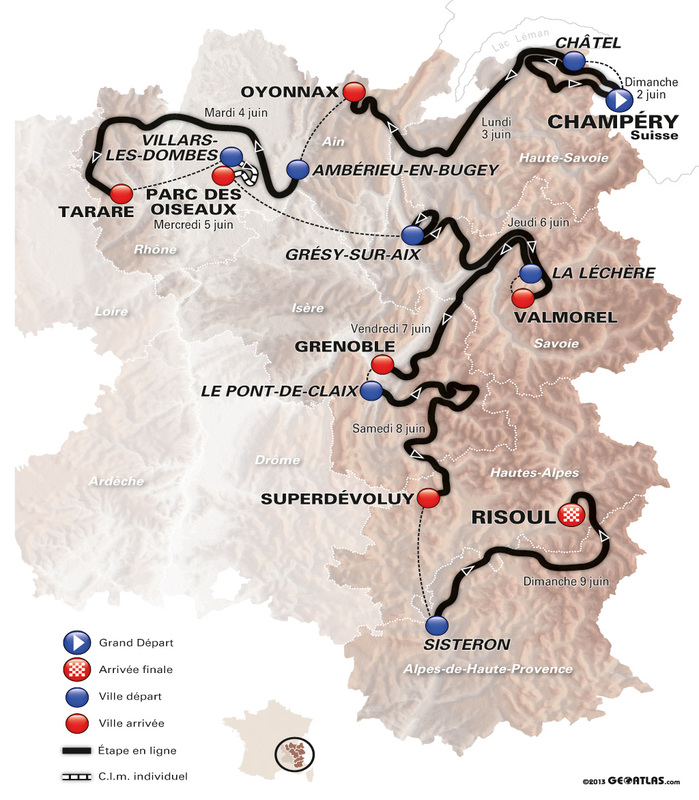 The route provides plenty of opportunities for the big names to show their hand, so hopefully we’ll see a race full of quality and aggressive racing.